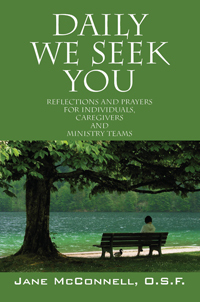 This book includes inspirational reflections and prayers for every day of the year. It also includes prayers for significant times along life’s journey, and seasonal prayers to share with family and friends. You will feel refreshed and renewed as you use these prayers each day. 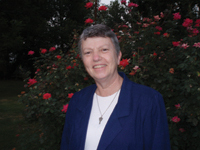 Jane McConnell, O.S.F. has served in various ministries as an Educator, Formation Director, Pastoral Associate, Religious Education Director, Liturgist, Spiritual Director, Retreat Guide, Hospital Chaplain, and currently as Mission Integration Director with St. Mary’s Health System in Evansville, IN. Her great joy is to live as a Franciscan Sister of Oldenburg, IN.